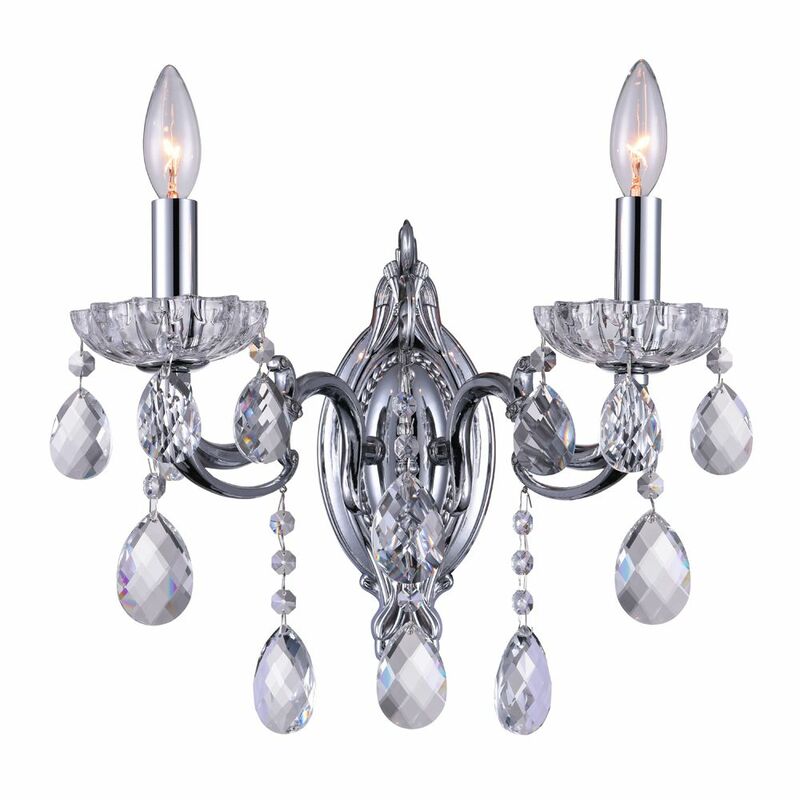 This breathtaking 2 Light Wall Sconce with Chrome Finish is a beautiful piece from our Flawless Collection. With its sophisticated beauty and stunning details, it is sure to add the perfect touch to your dicor. The cornerstone of the atropolis Collection is quality, and this wall sconce is no exception. Combining a classic rubbed bronze finish and alpine shade, you will find no better way to highlight the charm of your home. With the superb craftsmanship and affordable price this fixture is sure to tastefully indulge your extravagant side. Globe Electric's Belmont Collection adds a quiet sophistication to any room. Its black finish pairs cleverly with muted gold accents to evoke a luxurious yet industrial feel amongst all its onlookers and perfectly complements any space. The classic hourglass shape of the 1-Light Wall Sconce is ideal for bedrooms and dining rooms alike. Hang it alone or pair it up for a cohesive look. The 60-watt bulb delivers just the right amount of light. With a 360-degree swivel and an easy to pivot sconce head, you can direct the light where you need it most. Perfect for lighting paintings, a reading nook, a makeup station and more! Connect it to a compatible dimmer switch to create impeccable ambiance for any occasion. Includes all mounting hardware for quick and easy installation and requires one E26/medium base 60-watt bulb (sold separately). Globe Electric's simple brushed steel Cuvillier 1-Light Plug-In or Hardwired wall sconce with rotary On/Off switch is a great spin on a classic design. The exposed socket creates a modern industrial look. Pair it with a vintage inspired bulb for a unique design. Simple and inviting this piece is great for any space in your home. Hang it alone or pair it up, leave it as a plug-in or hardwire it to your ceiling to create a variety of different long lasting looks. Includes all mounting hardware for quick and easy installation and requires one 60W medium base light bulb (sold separately). Check out Globe Electric's selection of designer vintage Edison bulbs to create a truly individual look. A perfect accent light for any space, the fresh and futuristic design of Globe Electric's Ramezay 1-Light Plug-In or Hardwire Task Wall Light is an elegant update for traditional and modern homes alike. Leave it as a plug-in to move it easily and create unique looks in different rooms or hardwire it to your wall for a long-lasting look. Includes all mounting hardware for quick and easy installation and requires one 60W equivalent E26 light bulb (sold separately). Flawless 9 inch 2 Light Wall Sconce with Chrome Finish This breathtaking 2 Light Wall Sconce with Chrome Finish is a beautiful piece from our Flawless Collection. With its sophisticated beauty and stunning details, it is sure to add the perfect touch to your dicor.